The Club’s Annual General Meeting will be on Wednesday 8th November at 7.30pm in the Clubhouse. The AGM papers, which need to be sent to every member, are available for collection in the upstairs lounge until Sunday 1st October. Please collect yours – if you don’t we have ti post them out at considerable expense. The Club is a member’s club – run by members, for members – and the AGM is an important part of that. It allows you to hear from the Committee and also to ask them questions (although I hope everyone feels they can ask committee members questions throughout the year, not just at the AGM!). If you would like to know more, please talk to any member of the committee or Dave Rowe. To stand you have to be proposed and seconded by members and your nomination form must be delivered to the Club Manager by Wednesday 25th October. Our extremely popular handicap event, part of the GJW Direct Sailjuice Winter series, is being held on 18th / 19th November. The competitors usually include a who’s who of UK dinghy racing including a fair few World, European and National champions. It is a fantastic event to sail in and I would urge all racers to consider competing. Members get a much-reduced entry fee of £15 (visitors pay at least double that). You have to enter online by Sunday 12th November and numbers are limited to the first 130 boats. If you would like to be part of the team running the event, please get in touch with Jeremy Atkins via the office. The Summer is always a bit quieter for us as so many sailors are away on holiday, but now that everyone is back at school, there is plenty of action for young sailors. Saturday 23rd September was the day of our Youth & Junior Championships. What a brilliant day on the water! Nearly 30 boats in Regatta and Championship fleets. There was great sailing on display at all levels in what turned out to be a mostly sunny day with a steady southerly breeze. 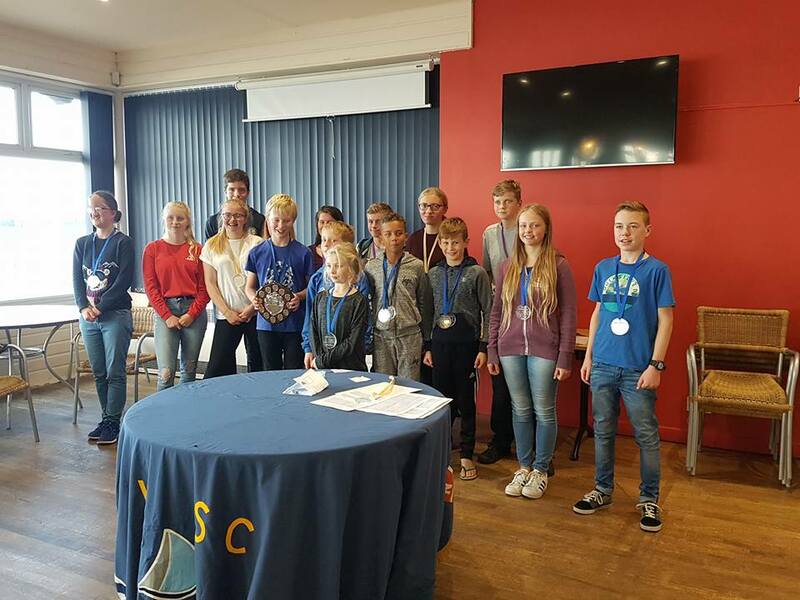 Well done to all our young sailors and thanks to all those involved in running the event, both our wonderful volunteers who gave up time to help and our ever supportive staff. This coming Saturday, 30th September, is the Laser Open Meeting. There will be a special second start for Youth & Junior laser sailors. If you have a laser 4.7 or radial, and they have become a popular choice for young sailors, come and have a go. You can register on line here https://webcollect.org.uk/mydwsc/event/online-registration-for-open-meetings-hosted-at-dws c– do it before 29th September and save £2.50! Saturday Youth Club will run as normal on this day in the morning, and every Saturday until 21st October, which is the last session of the year. 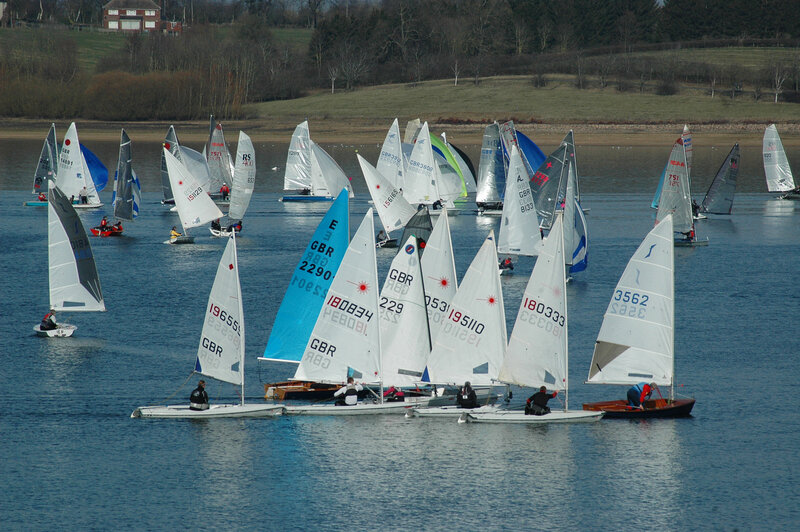 The following Saturday and Sunday, 28th & 29th October, is the RS Tera End of Season Championships, hosted at DWSC, so let’s hope to see as many home club Teras out on the water as possible for this! Get Racing: This continues to run on Sunday mornings. There will be a coach on hand this Sunday, 1st October and then Start 6 will continue to run throughout the month as a series. The September Series was won by Carla Fickling, just 1 point ahead of Izzy Hughes, With Ethan Cheshire in 3rd. So far this year, there has been a different winner every month since April when we started. This event was held on Sunday 17th September. The wind was light, but fun was had by over 50 Club members who took part in the racing and more Youth & Juniors who did the sailing obstacle course. The results for the morning Bart’s Bash race were extremely close but, once the results had been checked and verified, the winners were Richard Hope and Mike Stenson in their Flying Fifteen who beat Millie Irish in her Optimist by less than half a second on corrected time! Third was John Siggers in his Solo. The Tom Pearson Trophy, for first placed Get racing sailor, was won by Izzy hughes in her Tera. John got his own back in the afternoon’s pursuit race which was a Solo benefit event, with Solos taking the first 6 places. John was followed by Nigel Davies and then Martin Scurrah. The Club raised over £200 for the Andrew Simpson Sailing Foundation and this was increased to £300 by donations from other sources. This qualifies the club for the draw for a session in an Extreme 40 Catamaran at the Andrew Simpson Sailing Centre. As you know fun runs and onsite activities are becoming more prevalent here at Draycote Water so please be aware that car parking and more people will be around during the weekends.